Chillingo and Music Mastermind have released a first-of-its-kind mobile contest in music creation game Zya on iOS. The ZyaStar contest gives players a chance to win a grand prize of $10,000, a recording contract with Emblem Records, and a spot on DigiTour 2015. Players can enter the contest by creating songs in the Zya music creation platform, which allows users to create their own songs by manipulating popular licensed tracks and recording their own voices. Zya allow users to customize each portion of their song, from verse to chorus, by choosing genres of musicians and then customizing the hooks they play. Players can add their own drum beats to accompany the game’s scripted drummers, and can choose to sing their own lyrics, or simply use one of the available in-game options. 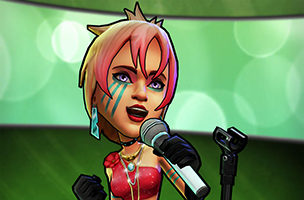 When songs are completed, players receive currency to purchase new band members, and will receive bonuses for completing combos of just the right musicians and hooks. The more songs players create, the more licensed tracks they unlock, and the more options they have in their final musical products. Since launching in December, the game has been updated with new songs, avatars, vocal quantization, auto-tune enhancements and more. Zya is available to download for free on iOS. Check back soon to follow the game on AppData, our tracking platform for mobile and social apps and developers.